Let your ticket sales fly like a downhill skier over fresh powder when you promote your event in advance with Ski Race Flyers. 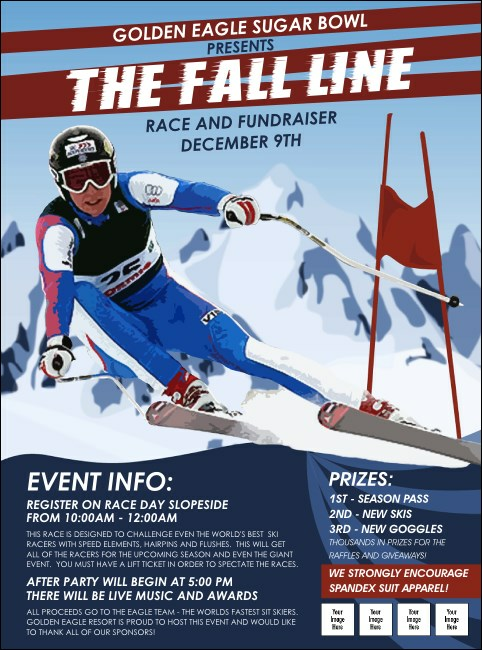 Each Flyer features a realistic picture of a skier flying around a turn with beautiful mountain scenery in the background. Show off your sponsors or promote featured guests with space to upload four unique images. Get the edge on great pre-event advertising at TicketPrinting.com.